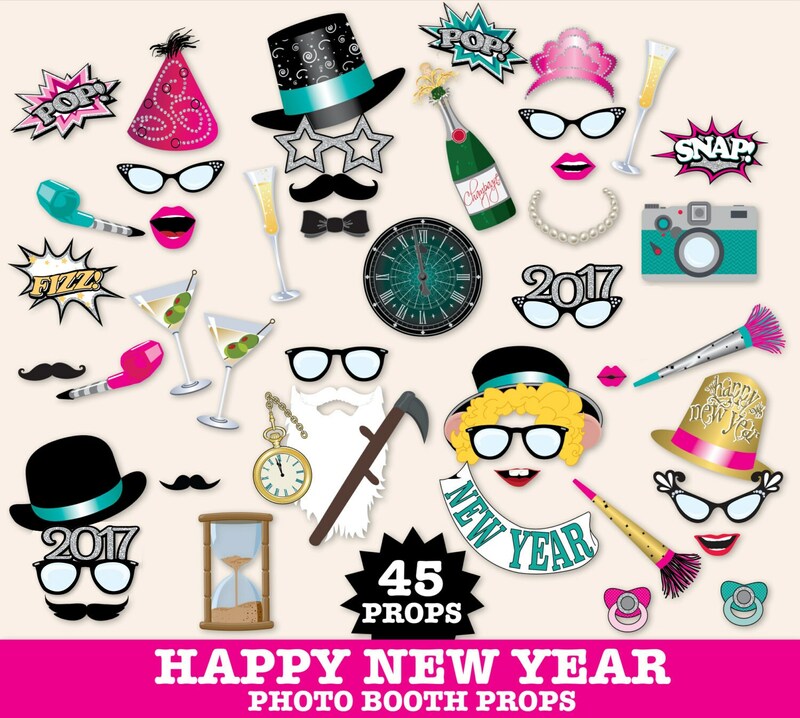 (¸.·´You'll enjoy ringing in the New Year with these whimsical & kooky photo booth props by SimplyEverydayMe. 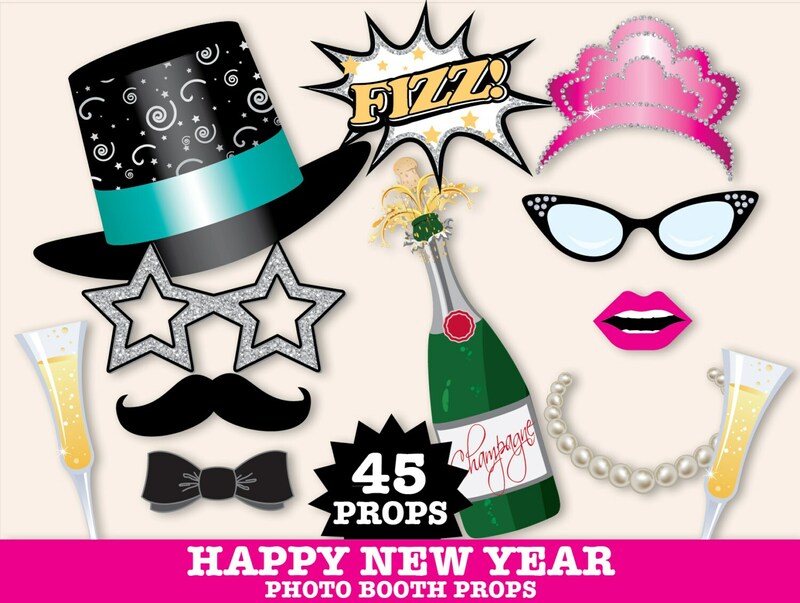 This kit consists of 45 DIY printable props including: Top Hat ★ Happy New Year’s Hat ★ Bowler Hat ★ Party Hat ★ Party Crown ★ Champagne Bottle with Cork ★ Champagne Glasses (2) ★ Martini Glasses (2) ★ Father Time Beard & Mustache ★ Sickle ★ Pocket Watch ★ Hour Glass ★ Big Clock Face ★ Baby New Year Hat/Hair ★ Baby New Year Sash ★ Baby New Year Mouth ★ Binkie (2) ★ Glasses (3) ★ Star Glasses ★ 2016 Glasses (2) ★ Bow Tie ★ Pearl Necklace ★ Party Blower (2) ★ Party Blower Fringe (2) ★ Camera ★ Snap Burst ★ Fizz Burst ★ Pop Burst (2) ★ Mustaches (4) ★ Lips (4) ★ Instructions, Plus Information for materials need & paper suggestions. 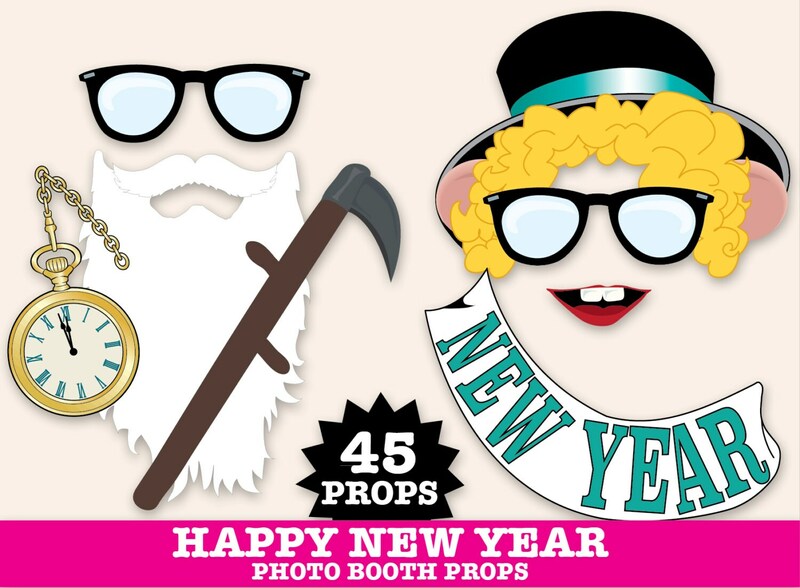 A great assortment of photo props- thank you!